212 pages | 6 B/W Illus. Mentoring is a core element of any successful teacher education or coach education programme, with evidence suggesting that teachers and coaches who are mentored early in their careers are more likely to become effective practitioners. Physical education and sports coaching share important pedagogical, practical and cultural terrain, and mentoring has become a vital tool with which to develop confidence, self-reflection and problem-solving abilities in trainee and early career PE teachers and sports coaches. 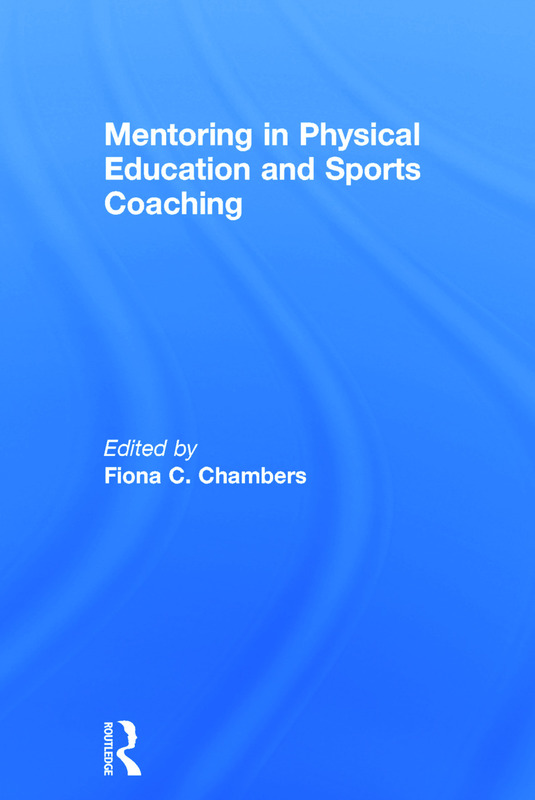 This is the first book to introduce key theory and best practice in mentoring, for mentors and mentees, focusing on the particular challenges and opportunities in physical education and sports coaching. Written by a team of international experts with extensive practical experience of mentoring in PE and coaching, the book clearly explains what mentoring is, how it should work, and how an understanding of socio-cultural factors can form the foundation of good mentoring practice. The book explores practical issues in mentoring in physical education, including pre-service and newly qualified teachers, and in coach education, including mentoring in high performance sport and the role of national governing bodies. Each chapter includes real mentoring stories, practical guidance and definitions of key terms, and a ‘pedagogy toolbox’ brings together the most important themes and techniques for easy reference. This is a hugely useful book for all teacher and coach education degree programmes, for any practising teacher or coach involved in mentoring, and for schools, clubs, sports organisations or NGBs looking to develop mentoring schemes. Fiona C. Chambers is the Director for Sports Studies and Physical Education in the School of Education at University College Cork, and is a Senior Lecturer in Education (Sports Studies and Physical Education). Her primary research interest is in initial and career-long professional learning for PE teachers and its impact on young people's learning in PE and sport. Fiona has a particular interest in the role of mentor education in developing the pedagogies that PE teachers need to use sport effectively to promote the health and wellbeing of pupils. She is a link convener of the new Sport Pedagogy Network in the European Educational Research Association (EERA), has published extensively in peer-reviewed publications, and is a reviewer for Research Quarterly for Exercise and Sport, Physical Education and Sport Pedagogy, European Physical Education Review, the International Journal of Sport Policy and Politics and the American Educational Research Association.